Located 2.3 miles southeast of the Village of Speculator. From Speculator, drive south for 0.8 miles on route 30 and make a right onto Downey Road, Follow Downey past Camp of the Woods, turn right onto South Shore Road. Follow South Shore Road till you come to the trailhead (unmarked) on the left side of the road 1.9 miles from Route 30 & Downey road intersection. From Wells make a left onto Downy Road, and a left onto South Shore Road before you reach Camp of the Woods, just past the little fishing bridge (2.6 miles from the intersection of 30 and Downey Road. On the left. 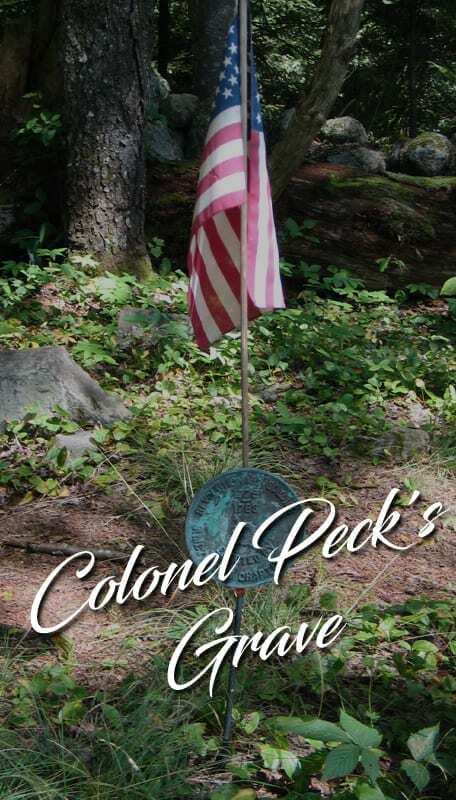 A short trail leads to an old cemetery containing the grave of Colonel Peck, Hamilton County’s only Revolutionary War officer. The trail is about 0.6 mile each way to the cemetery, where there are several other old headstones.